Having occupied the Crimea and unleashed a war in the Donbas, Russia violated all ten principles of the OSCE, and it should be forced to return to these principles. 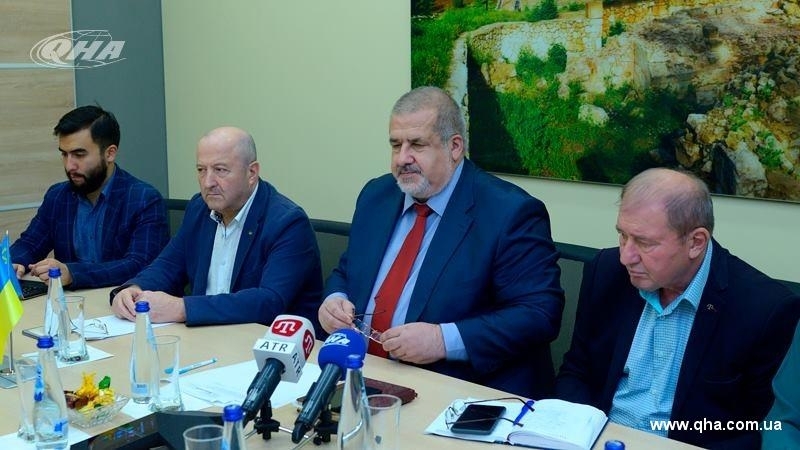 According to the QHA correspondent, the Chairman of the Mejlis of the Crimean Tatar people Refat Chubarov made a corresponding statement at a meeting with OSCE High Commissioner for National Minorities Lamberto Zannier, which was held on September 11. The meeting was also attended by Deputy Head of the Mejlis of the Crimean Tatar people Ilmi Umerov, members of the Mejlis Riza Shevkiev and Eskender Bariev, and Adviser to the Head of the Mejlis Arsen Zhumadilov. Chubarov stressed that Ukraine has high expectations of OSCE institutions. The Chairman of the Mejlis also praised the role of the OSCE Special Monitoring Mission in Ukraine, but regretted that due to the destructive position of the Russian Federation, the mission was not able to fully fulfill its mandate. In particular, for all this time, SMM has never been able to visit the occupied Crimea. For his part, Zannier emphasized that the Crimea remains one of the most important issues on the agenda of the OSCE - the pressure on Russia will not be stopped. “Regarding the status of Crimea, this issue is constantly on the agenda of the OSCE. Sanctions have been imposed on Russia, and this pressure is maintained. Zannier went on saying that he was following situation with the rights of the Crimean Tatars throughout the territory of Ukraine. In particular, he called the opening of the Crimean Tatar classes positive, and also noted that he was informed about the bill, which is to determine the status of the Crimean Tatar people at the legislative level. The OSCE High Commissioner on National Minorities also said that he had met with Ambassador Apakan that day and discussed the further role of the OSCE SMM. Zannier further noted that he will visit Kherson and the Kherson region the next day to assess the situation with the Crimean Tatars both in this region and in the occupied Crimea. Earlier, at the opening of the OSCE conference in Warsaw, the Head of the US delegation to the OSCE Michael Kozak said that Russia's aggression against Ukraine contradicts all the principles of the Helsinki Final Act, as Russia violated the inviolability of borders and the territorial integrity of the states. At the same time, Russia continues to occupy 20% of Georgia's territory and supports separatism in the Transnistrian region of Moldova.